Predict Which 21st Century Novels Will Enter the Literary Canon? And Which Overrated Ones Won't? | Open Culture Predict Which 21st Century Novels Will Enter the Literary Canon? And Which Overrated Ones Won't? Last year, we featured a 1936 poll where readers predicted what writers would make it into the literary canon of the year 2000. But what results would the same inquiry yield today? What 21st-century novels (early in the game, I know, but still) will remain widely read over half a century from now? How much more prescience have we evolved compared to that of our equivalents almost 80 years ago? How many modern Sinclair Lewises and Willa Cathers would we pick — versus how many modern James Truslow Adamses and James Branch Cabells? The future already looks bright for several of Luchette's picks. 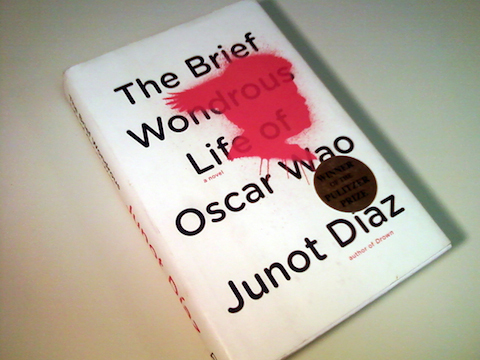 Junot Diaz's "habit-formingly colorful and bright" (not to mention Pulitzer-winning) The Brief Wondrous Life of Oscar Wao recently topped BBC Culture's critics poll for the best novel of the 21st century so far. Others face longer odds. As high a point in the zeitgeist as Yann Martel's Life of Pi reached — and no less an opinion leader than Barack Obama called it "an elegant proof of God" — I personally tend to agree with the assessment of James Wood, who likens its central revelation to "an editorial meeting of Social Text." And so we hand it over to you, Open Culture readers. What does the future's canon look like from where you stand? In the comments, name the books you think will remain widely read (or grow more so) at the end of the century, or indeed, the ones widely read now that will have, by that point, collected the better part of a century's dust. Bonus points for telling us why. Most of the writers in Luchette’s selection are not going to last, at least from the perspective of world literature. Jonathan Franzen and Jeffrey Eugenides have very little footprint outside of english speaking countries. I think it’s telling that Patrick Modiano, the latest Nobel Prize winner, was fully translated into spanish when he won, and minimally in english. The rest of the world is reading a heck of a lot more fiction which challenges the form and a lot less fiction that deals with middle class concerns. No mention of J.K. Rowling? Add her name to the list of fellow immortals like Baum, Tolkien, Lewis, Twain, and on and on–a list I don’t think any of the mentioned authors will ever make. Sorry. Kitchen House by Kathleen Grissom will make the list because it contains an important conversation about complicated layers of racism in the U.S. It goes beyond black and white to include bi-racial people. It shows how hard it is to cross the color line in social relations–be it personal or economic, and the like. Dude. Cloud Atlas. Because it’s a work of genius. “The Road” (2006) and “No Country for Old Men” (2005) by Cormac McCarthy are the two best 21st century books I’ve read. I’m surprised that at least the first one isn’t listed. I’ve only read 2 out of the listed 11: White Teeth is a remarkable work, but The Kite Runner doesn’t deserve at all to be there. This makes me already skeptical about the other choices. I would definitely list something from the latest Coetzee writing – maybe Summertime or Elizabeth Costello. Diary of a Bad Year is also an excellent book. The formal experimentation carried on these works are, in my view, the most questioning and comprehensive look literature gave on itself since those greatest writers from early 20th century. David Shields – Reality Hunger, ‘user content is the new folk-art’. Kim Kardashian – Selfish, a masterful meditation on the condition of feminity/the Self/the Real/technology/folk-art/the cultural logic of late Capitalism. I really beleive that George R. R. Martin’s Songs of Fire and Ice and J. K. Rolling’s Harry Potter will be in the future of our kids. The quality of their work is good, but I think it’s going to happen because they had a different approach of fantastic literature world. Also, Chuck Palahniuk. I believe he represents very well the modern narrative and society. A few books from Latin America: 2666 by Roberto Bolaño, “El hombre que amaba los perros” (just translated into English as The man who loved dogs), by Leonardo Padura and El Testigo by Juan Villoro (I don’t think it has been translated into English). Definitely Cormac McCarthy’s “The Road.” Not so sure if Bolano will last, but I’d have “The Savage Detectives” in my personal list. No Hilary Mantel yet? David Shields is an interesting choice, particularly since I believe it is a century that will be remembered more for it’s non-fiction, if the first fifteen years are anything to go by. Richard ford’s frank bascombe books added but not sure when they were written. Franzen? Seriously? This may be a good argument for closing the canon, or at least deferring to future generations the selection. A low-rent, political, Updike wannabe. Roll these names across your tongue: Updike, Roth, Nabokov, Bellow … Franzen. If the last one doesn’t stick in your throat you should probably spend more time with reality TV and less with literature. ‘Freedom’ was a travesty. The fact that he’s too cool for twitter and generally nasty to women writers just seals the deal. I came here to nominate Cloud Atlas, but someone beat me to it! One of the most surprising works of genius I have ever read. Also, I second the vote for Coetzee made by another comment. The only one I agree with from the original list is White Teeth. And lastly, I would like to but Bernard Malamud up for discussion because I think he is one of the most under-read and under-appreciated authors for both casual readers and academics alike! ‘Glead’ for sure, my favourite and most read. Also ‘Cloud Atlas’ and the Harry Potter books. ‘Midnights Children’ will also last the distance.